Innovative Technology for exercise of individual fingers, the hand, upper extremity, lower extremity, head, neck and back. The M600 Exercise Kit consists of the Myo-EX and AngleX sensors. 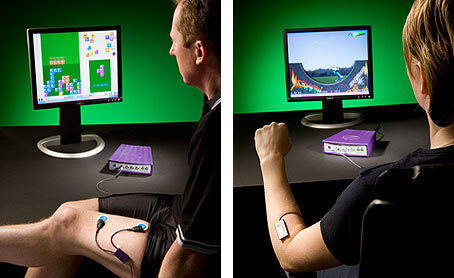 Myo-EX uses a novel application of surface EMG for exercise and biofeedback. AngleX provides unique active exercise against gravity. The M600 has a wide spectrum of applications throughout the rehabilitation process - starting as soon as a patient recovers any voluntary muscle control through to strengthening of professional athletes. Myo-EX uses surface EMG for unique computerised exercise, biofeedback, muscle re-education and motor control. 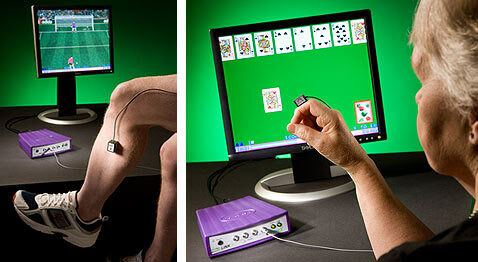 AngleX uses unique sensors that respond to active movement against gravity for computerized interactive exercise in orthopaedic and neurological rehabilitation.